We do everything we can to ensure your privacy, including plain, generic packaging which is then sent to you in a courier bag so no one can see what is inside. Shhhh… this is our secret, not the office secret. We regularly send our parcels to houses and offices all over the country and no one knows whats being sent. We offer FREE delivery in South Africa on all orders over R750, under that it’s a flat rate of R149. Even the waybill and the charges on your card or bank statement won’t say Olivia Grey, It will say Pixicube Pty Ltd. So, you choose with whom you want to share your love for us, and when. Sneaky? We think so! ? 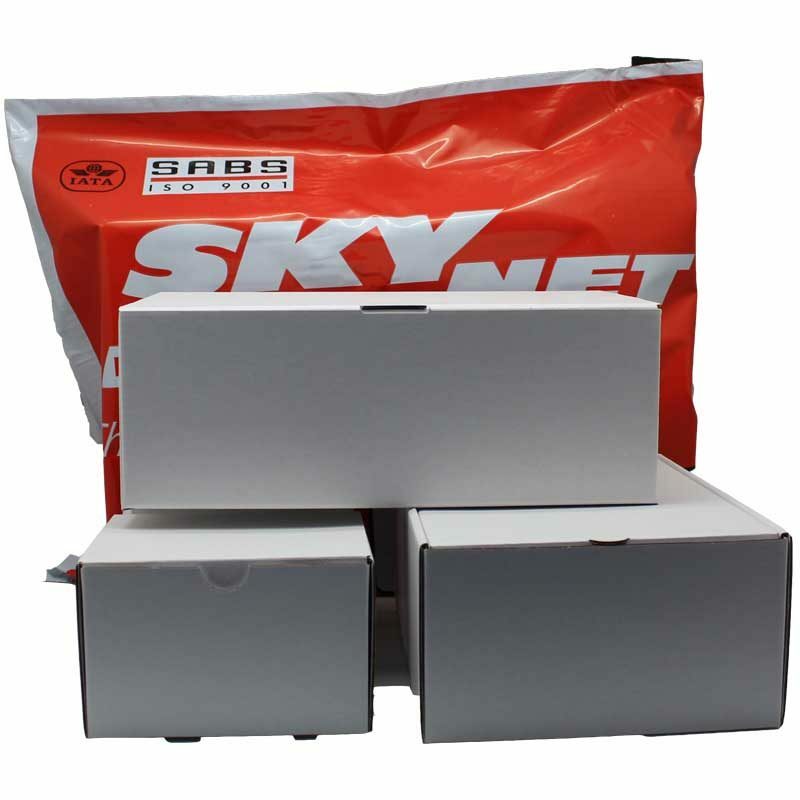 The vast majority of our orders get dispatched to our customers in a plane box which is then put into Skynet Courier bags like this. Very innocuous, could be anything.